Cole Showalter manages our James River Advisors Harrisonburg location. He works as our financial advisor in Harrisonburg, VA. His clients include individuals and families ranging from early career savers to pre-retirement and retirement clients. Prior to joining James River Advisors, Cole worked as a Certified Public Accountant. His accounting background allows him to provide insight that is unique from many other financial advisors in Harrisonburg, VA. Wendy Marshall, our service consultant, also works in our Harrisonburg office. She handles compliance and administrative work for our team. James River Advisors is a Registered Investment Advisor, making us a great fit for individuals and families ranging from early career savers to pre-retirement and retirement clients. Our Harrisonburg office has worked with clients on a variety of financial planning topics, including: investments, trusts, college planning, retirement planning and tax planning. Cole enjoys working with clients at various stages in their financial planning journey. 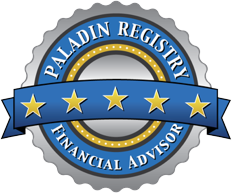 He is passionate about helping clients meet their investment, retirement, and family financial planning needs. Wendy Marshall plays a vital role in day-to-day operations at James River. She focuses on handling administrative and compliance work for our offices and is also a public notary. Our office is located just outside Harrisonburg in Rockingham, VA. Harrisonburg is home to the Massanutten Resort, featuring skiing and an indoor waterpark. Our office location allows our employees to serve as a financial advisor in Harrisonburg, VA and the smaller population in Rockingham. Our office is also within a thirty minute drive of Staunton, VA and a forty minute drive of Waynesboro. To get to our office from Staunton, VA: Head northeast on VA-262 for about six miles, then turn left to merge onto I-81. Follow the highway for 22 miles, then exit on 247A toward Elkton. Merge onto US-33E, then turn right onto Quarles Ct.
To get to our office from Waynesboro, VA: Take US-340 N to VA-253 in Stonewall for 17 miles. Then turn left onto US-33W. Turn into Quarles Ct.
Q: Do I have to be wealthy to work with a financial advisor in Harrisonburg, VA?